The Royal United Services Institute - Vancouver Society was formed in 1921 as a Military Institute, and subsequently the membership was widened to include officers of the Navy, Air Force RCMP and non-service associate members from business, industry and government. Membership has now been extended to all ranks who served or are serving with Canadian, Commonwealth and Allied forces as well as the uniformed public services. RUSI Vancouver is one of 24 such institutes across Canada and is affiliated with the Conference of Defence Associations. RUSI supports the development and maintenance of effective national security and defence policies. RUSI conducts studies, analyses and research on security and defence matters; it prepares submissions, position papers, and policy proposals to government and other agencies. RUSI provides a forum for discussion and information about matters of interest to our members. RUSI works to help ensure the public is correctly informed on matters related to national security and defence. RUSI promotes a spirit of comradeship among its members. 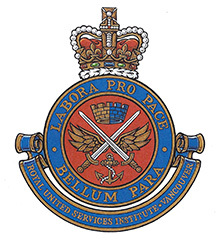 The fellowship and camaraderie generated among the members of The Royal United Services Institute - Vancouver Society are a part of the attraction of being associated with the institute. We always welcome new members who have retired from service in our military and police forces and we enjoy the participation in our activities by the men and women on active duty. We also benefit from the participation and contribution of associate members who join us from business, industry and government. This varied membership provides the institute with a unique opportunity for social interaction and the exchange of points of views. All who join our membership share a common view of fostering responsible military and non-military initiatives and strategies designed to promote and sustain domestic and global security. We live in the best place on earth and have little to complain about when compared to other places on this planet. Our comfortable political and social environment has not just evolved but it has come about through the earnest desire of many citizens who have worked to improve conditions locally, regionally and nationally. As members of RUSI Vancouver, we sense a responsibility to continue to promote a stable and peaceful environment for our values to flourish. Our members recognize that the maintenance of our Canadian principles and values are important as the basis for ensuring a secure social and economic future for all. An item that is prominent on our agenda is the recognition of the men and women in our military and police forces who guard the peace we enjoy and provide for the security of our nation. Being a member of RUSI Vancouver adds weight to our collective voice when we need to speak on behalf of our service people; and your membership in the institute adds to our visibility when examining or addressing issues of the day. A Contact Page is provided HERE for your convenience. We will get back to you very quickly with more details and our formal invitation to join RUSI Vancouver. Thank you for your interest. RUSI Vancouver members gather for lunch on Wednesdays at 12:00 Noon at the Officers' Mess of the 15th Field Regiment (RCA) located in the Bessborough Armouries, 2025 West 11th Avenue, Vancouver, BC. ©Copyright 2019 RUSI-Vancouver. All rights reserved.